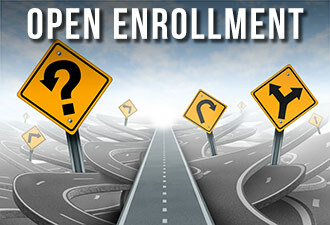 Are you confused about the Medicare Open Enrollment Period (OEP)? Don’t worry — you’re not alone. “Many think that this is when they are supposed to change everything — but it really only involves Medicare prescription drug plans and Medicare Advantage plans,” Glaze said. “They think that this is when they are supposed to change their Medicare Supplements too.” Even though this is not the case, we still encourage our clients to contact us to review their Medicare Supplement plans now as well. Medicare Supplement plans can be changed at any time throughout the year. "People also get confused by the very term, "Open Enrollment Period," because they recall hearing the same words to describe when they initially enrolled in Medicare Supplement plans, which were guaranteed issue, where anyone eligible who applied could not be denied coverage due to their health,” Glaze said. Many people don’t realize that out-of-pocket costs can change from year to year, potentially costing them thousands. Glaze recommends that even if you’re satisfied with your current coverage, call Medicare MarketPlace® to review your Part D plan. You can make sure that plan formularies and co-pays haven’t changed and that all of your medications are covered. Glaze and the team of Licensed Insurance Agents at Medicare MarketPlace® are here to answer your questions and clear up any confusion you have. Call 1-800-554-2559. Remember, you have through Dec. 7 to make changes to your Medicare Advantage or prescription drug plans. Those changes will take effect Jan. 1.